Below are excerpts from a recent conversation between GiveWell staff (Holden Karnofsky and Timothy Telleen-Lawton) and Steve Teles, Associate Professor of Political Science at Johns Hopkins University about policy advocacy. I have included only the excerpts that directly discuss immigration, although the immigration section of the discussion includes a lot of general discussion of the policy advocacy “map” as Teles calls it. Steve Teles: Within a year or two there will be a bill passed, and that is likely to exhaust Congress’s desire to legislate on immigration for about a decade. So it’s not worth investing a lot of money on the legislative lobbying side, at least as it’s currently defined: along the lines of numbers, regularization of status, internal enforcement. It will be a very complicated bill, with a lot of responsibility passed on to regulatory agencies. There will be lots of litigating as well, so getting the optimal outcome from the law requires acting at the regulatory rulemaking side through the agencies, the litigation stage, and the actual implementation of the law in practice. The process will be very long, maybe indefinite. The Clean Air Amendments of the 1970s are still being fought over. So it’s worth investing on the litigation and rulemaking side more than the legislative side. Related material we’ve covered at Open Borders includes part 2 and part 3 of Fabio Rojas’ series on how to move in the direction of open borders. GiveWell: On the immigration reform bill, how do we figure out how much capacity is already there and how much room there is for funding? How would we decide how to get involved? Steve Teles: You should talk to Min Hsu Chen, a professor at CU Boulder, who knows a lot about immigration, law, and civil rights. It’s useful in these cases to do an advocacy map: who’s out there working on this, what are they working on, how stable is their funding. Since many of these issues are incredibly technical you often need people who have been doing this for a long time. The reputation of the people is normally the most important thing, and is inherently non transparent, since everyone has an interest in distorting how influential they are. The goal is to fund someone who has influence, which requires gaining the trust of people who can tell you who really has influence and who doesn’t. This makes it important to go deeply into an issue over time. Being a long term funder puts you into a multi iteration game with people you deal with, decreasing the probability of getting burned. Back to opportunities on immigration: the regulatory side is the most elite dimension, involving lawyers, regulators, politicians, law review articles, etc. Another side would be immigrant self organizing, something funders rarely do. Funding tends to do things for immigrants, rather than increase their capacity to organize themselves. They’re a population that’s tough to organize, being transient and weakly settled, and are a group that politicians are rarely afraid of. The most important thing in politics is fear, and if they had organizational capacity politicians might fear them. Organizing immigrants might impact employers or the media, eventually affecting people’s perception of what the nature of the issue is. Depending on the status of immigrants this could include electoral organizing. Ben Sachs (Harvard) writes about a potential role for organized labor in helping immigrants: casual immigrant workers are at risk of not getting paid or having regulations broken, and modern style labor organizations can help with these issues. Immigrant rights probably has more of a “funding arbitrage” opportunity than immigration as such. Immigrants can be organized via worksites or at churches. The immigration bureaucracy is a mess and especially difficult for individuals who aren’t organized. Related material on our website includes an optimistic blog post on the role of organizing by David Bennion, a post by Nathan Smith about Jose Antonio Vargas, and a more pessimistic and cynical take from me. developing world into the US – either in support of it for humanitarian reasons, to improve the US, or for libertarian anti-border reasons. Steve Teles: Admittedly immigration is not one of the topics I know much about, comparatively speaking. On this question, it’s partly a function of funding. It’s also the way people think about it – many people think of the humanitarian issue on an individual level, not as a numbers issue, or they think of it as letting family members in rather than letting in people from impoverished countries more broadly. The “trade not aid” argument is the same idea as immigration, but immigration doesn’t get discussed in that context generally – maybe it could be. The most disruptive thing to a political environment is a new issue dimension. It tends to motivate and mobilize a new set of people who realize they have a stake, and it changes what people think the issue is about. So injecting a new issue dimension into immigration may be valuable. This could be accomplished either with a new, special purpose organization or an existing one. A new organization would start out with no branding, which is good and bad: you have neither the cachet nor the baggage of an existing group. Philanthropists do create new things all the time. The NRDC was basically created by the Ford Foundation. They look for an opportunity that doesn’t already exist, find good people and give them some seed capital. These people might be ones who already work in a space but aren’t achieving their potential or want a new job. Finding them probably requires being embedded in a space, so that people trust you and tell you things like this. Related material on our site: my blog post double world GDP versus scope insensitivity. GiveWell: What about other countries? We would potentially see value in bringing about more open borders in any developed country, but that seems like a difficult field to survey. Steve Teles: There are comparative immigration policy experts. In fact, the system at the moment is better in the US than many other countries, which are using human capital weighted systems to figure out who to bring in. Funding people in European countries would be very difficult, since we don’t know the landscape. The US system is more permeable, whereas the systems of bargaining and deep bureaucracy in European countries make them difficult to influence from an outside perspective. Some good people to talk to: Antje Ellermann, at the University of British Columbia, who has written about deportation and knows a lot about German policy specifically. She’s a humanitarian, less of a nationalist. Peter Skerry of Boston College knows the INS bureaucracy really well. He’s more of a restrictionist but would be an interesting person to talk to. He knows something about the European bureaucracy as well. Rebecca Hamlin at Grinnell is working on a book comparing the immigration policies of the US, Britain, and Australia, looking at immigration processing at a deep regulatory level, and knows the intersection of regulation and courts really well. Many of the people at that intersection are former students of Robert Kagan of Berkeley. A blog post by Carl Shulman is related. …Palestinians “would have the right to settle anywhere within Israel just as Jews would have the right to settle anywhere within the territory of the Palestinian state. Regardless of which of the two states they lived in, all Palestinians would be citizens of the Palestinian state, all Jews citizens of Israel.” Each state would have the authority and the obligation to provide for the economic, cultural, religious, and welfare needs of its citizens living in the other state’s territory. Condominialism recognizes the reality of the deep interconnectedness of Israeli settlers in the West Bank with the rest of Israel – through roads, water supplies, electricity grids, administrative structures, and economic relationships (just as Israeli and Palestinian parts of Jerusalem are interdependent). Instead of trying to separate and recreate all of these structures and relationships, it makes far more sense to build on them in ways that benefit both states’ peoples and economies. And, in a world in which many citizens spend an increasing proportion of their time in virtual space, de facto condominialism is already happening. As ideas go, I’ve seen worse. I like this a lot. In fact, I like this enough to the point that I would like to know: what’s keeping the rest of the world from trying this out? In many parts of the world, the forms of “deep interconnectedness” Slaughter describes already exist in total defiance of arbitrary, human-defined borders. In fact, I am a bit surprised she almost seems to gloss over the human relationships and communities that constitute the most important interconnectedness here. To take an example I’m familiar with, it matters little to a Malaysian living in East Malaysia on the island of Borneo where the technical border is. Not when he and his family have been living and moving across the land long before any international border sprung up separating Malaysia and Indonesia. Across the South China Sea in West Malaysia, Malaysians who live in the north are permitted to cross our border with Thailand without passports or visas, a governmental nod to our deep interconnectedness. Stories like these can be found across the world, including in the southern US, where people still recall how, before paranoia post-9/11 set in, communities divided by a border paid it no heed, their lives bonded together by social and economic ties that matter far more than arbitrary lines drawn on a map. In the 1950’s, after four decades of war across Europe, the idea of a European Union in which member states’ citizens could live and work freely across national borders while retaining their political allegiance and cultural identity seemed equally far-fetched. (Indeed, the name of the political process by which the EU was to be constructed, “neo-functionalism,” was every bit as abstract and cumbersome as “two-state condominialism.”) Yet French and German statesmen summoned the vision and the will to launch a bold experiment, one that has evolved into a single economy of 500 million people. 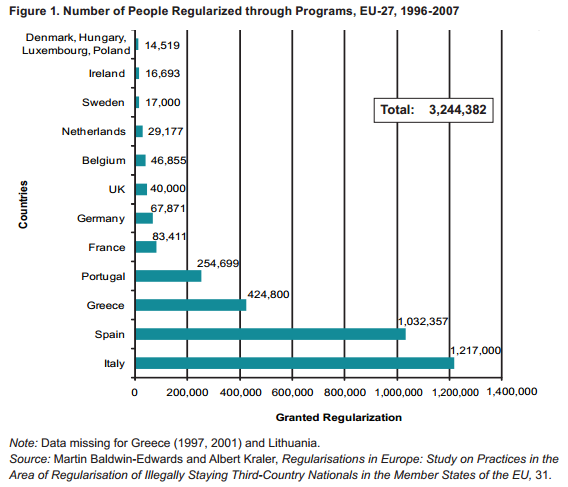 The EU has proven that on a fairly large scale, open borders work. (I am not too sure about the feasibility of a single currency, though.) 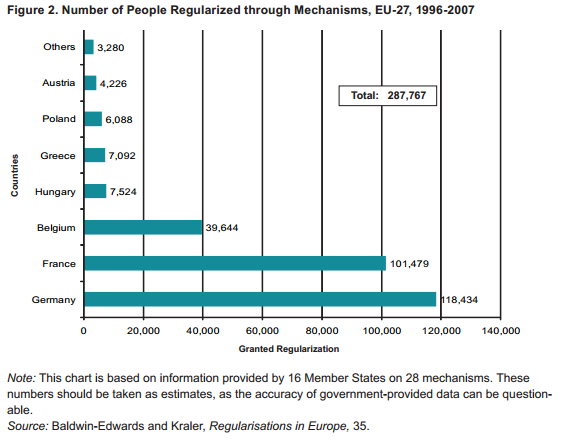 To the extent that open borders in the EU have been detrimental, they have been addressable by keyhole solutions (such as transparent, clearly-defined temporary restrictions on immigrant flows to allow societal adjustment). And to the extent that they have been harmful in spite of keyhole solutions, it is absolutely clear that most, if not all, predictions of catastrophe have not come to pass. Borders may be arbitrary, but we don’t need to abolish them to have open borders. Indeed, Slaughter says: “To make this work, the borders of each state would first have to be defined – presumably on the basis of the 1967 borders, with mutually agreed territorial swaps.” Borders define the area of a state’s sovereign jurisdiction. But they don’t define the human relationships that form the warp and weave of everyday life. Fundamental morality and economics agree: we need open borders.